You are lucky if you have a sister. 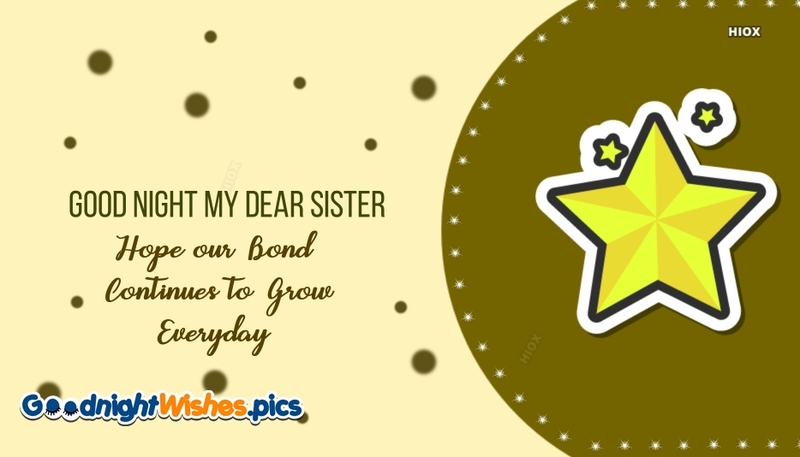 A sister is like a mother who would take care of you all time. 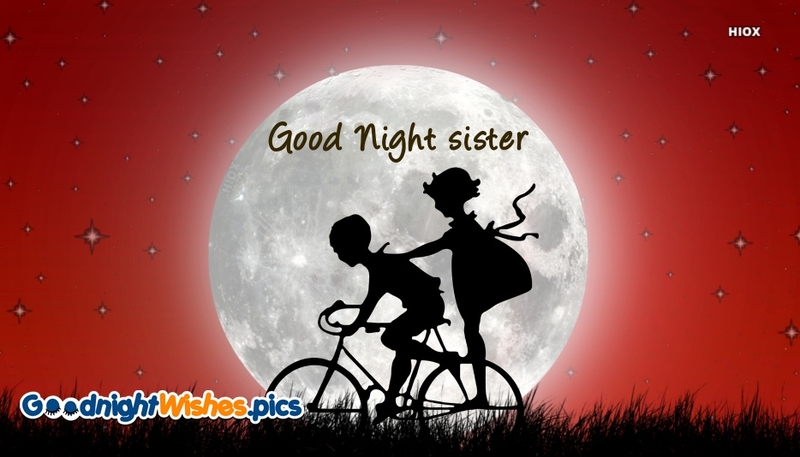 As the day comes to close its wings, take a chance to remind your sister that you love her the most by sharing these lovely good night sister wishes, images, messages, greetings, quotes, etc. 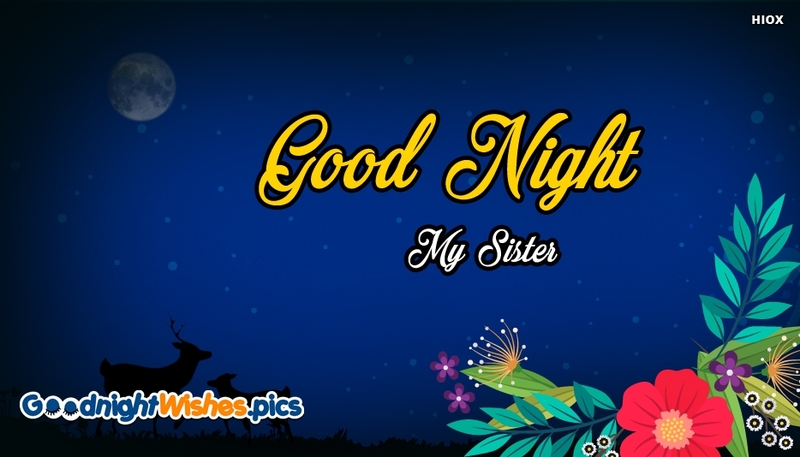 You can free download and share these images in Facebook, Whatsapp, Twitter etc., to express your good night wish to your lovable sister. 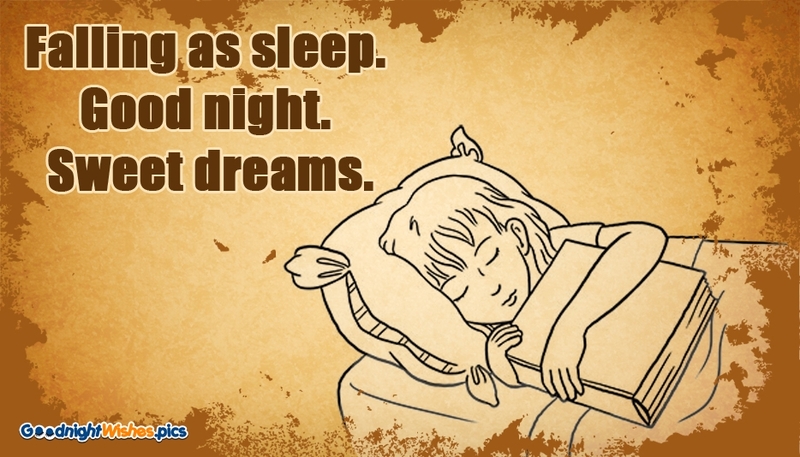 Living in your dreams can only come true when you allow yourself to sleep through the night. 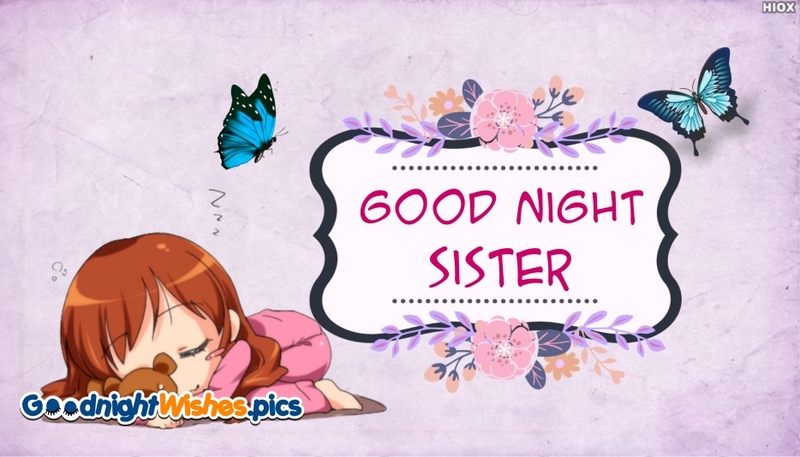 Good night sister. 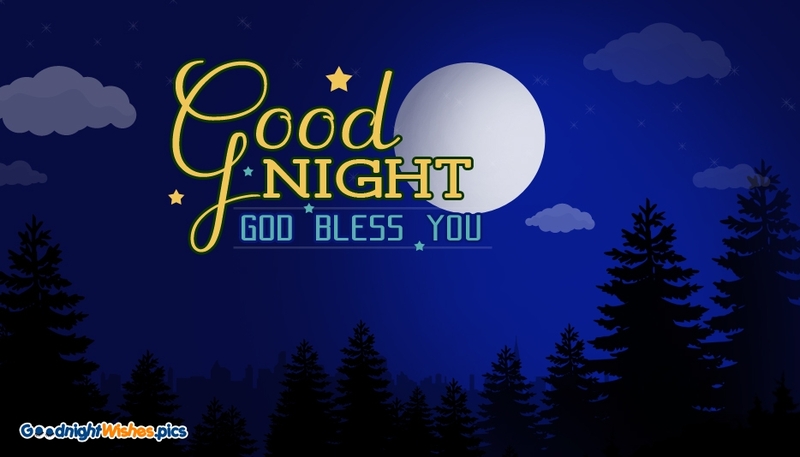 Night is not a time to lose hope in spite of the darkness. There is always light at the dawn of a new day. Find inspiration in it. 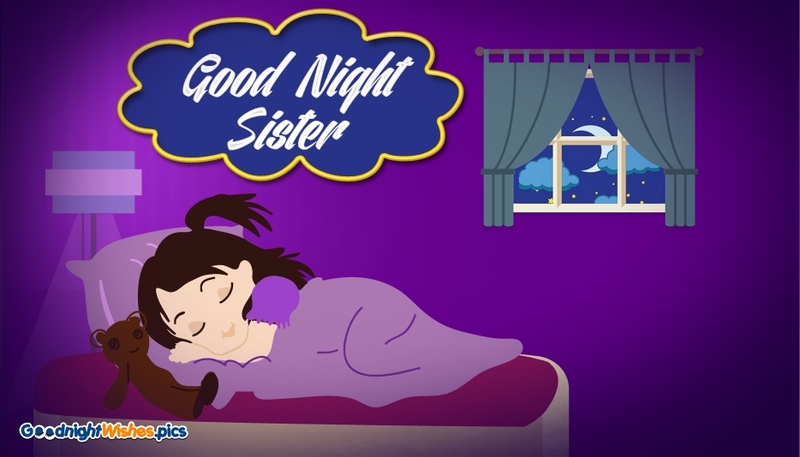 Sleep well sister. 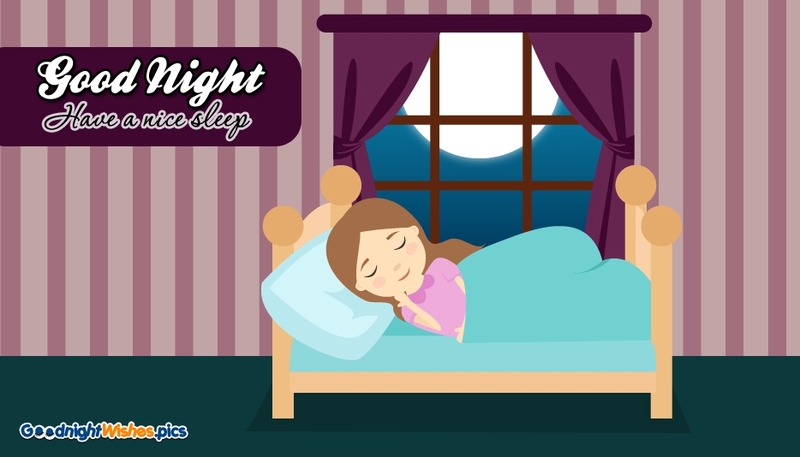 When you close your eyes tonight, try and visualize what you want your future to be. Think in every detail possible so that you can make your dreams into a reality. 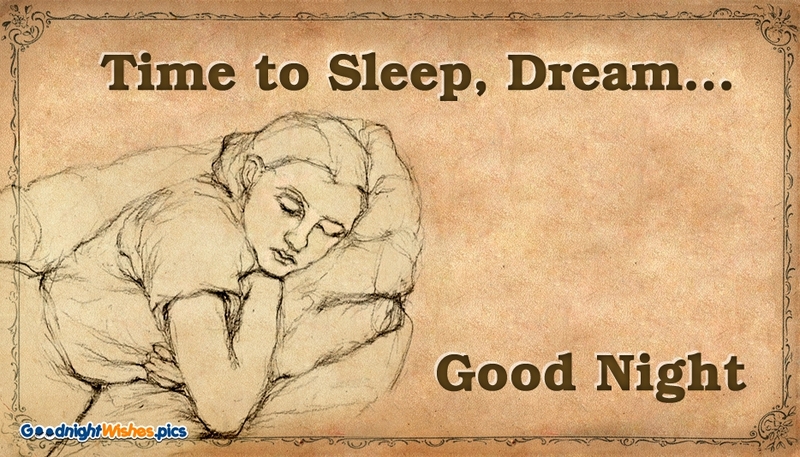 Sleeping until the rooster crows will allow you to plant the seeds of tomorrow. Remember there is no better friend than a sister. 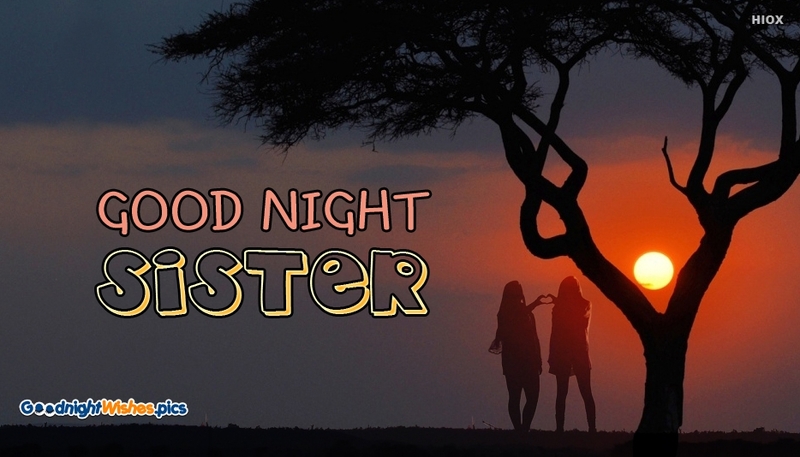 A good friend knows all your best stories, a sister has lived them with you. 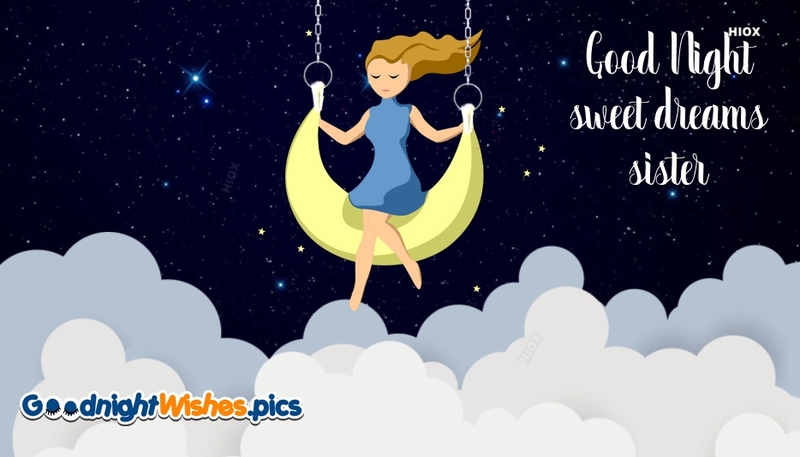 Make her feel so special by sending this lovely good night wishes images, greetings, pictures, greetings, e-cards, picture messages. 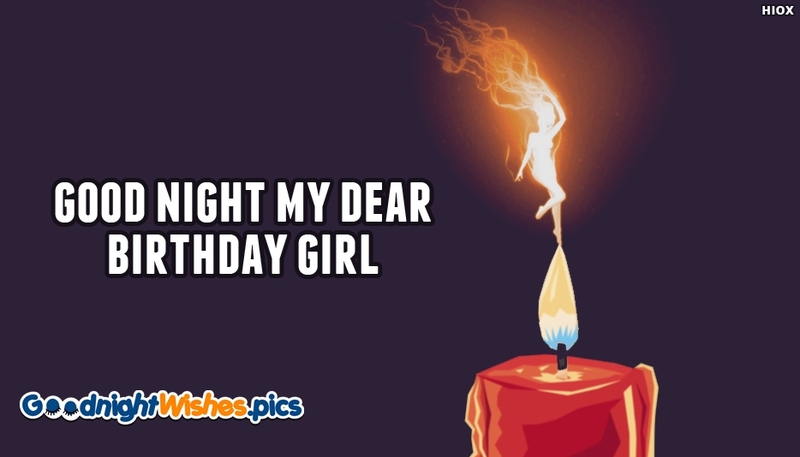 Wish her to have a calm and peaceful sleep in every night. 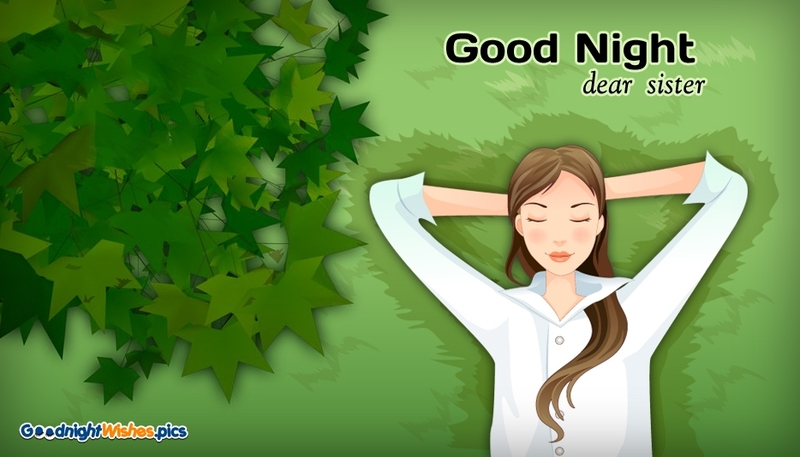 The only way to a successful tomorrow is to have a good night today. 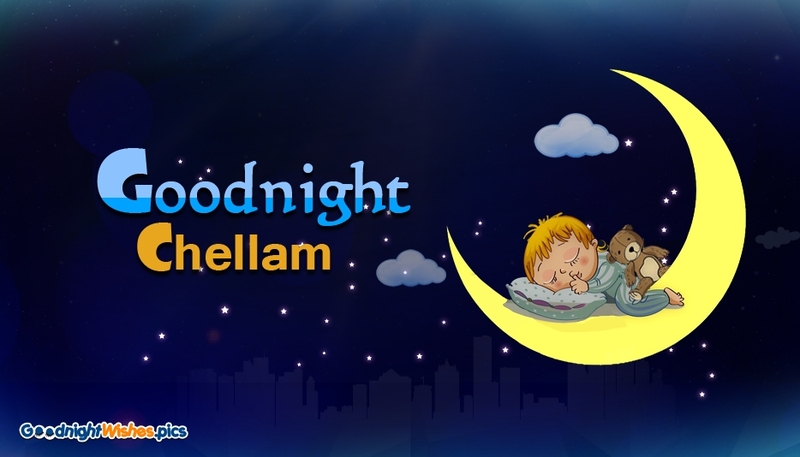 Sleep with the warmth of the world surrounding you, never forgetting that others are less fortunate. No matter how angry, happy or sad you may be – the day will end and a new one will begin. Let go of the past, so you can create an inspirational future in your dreams. Satisfaction starts with your head hitting the pillow and your mind focused on the greatness of tomorrow. 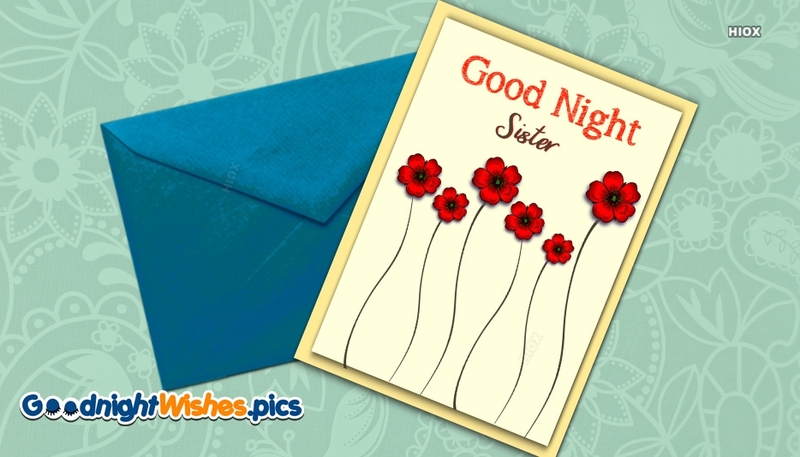 Free download and enjoy sharing good night wishes with your lovable sister. 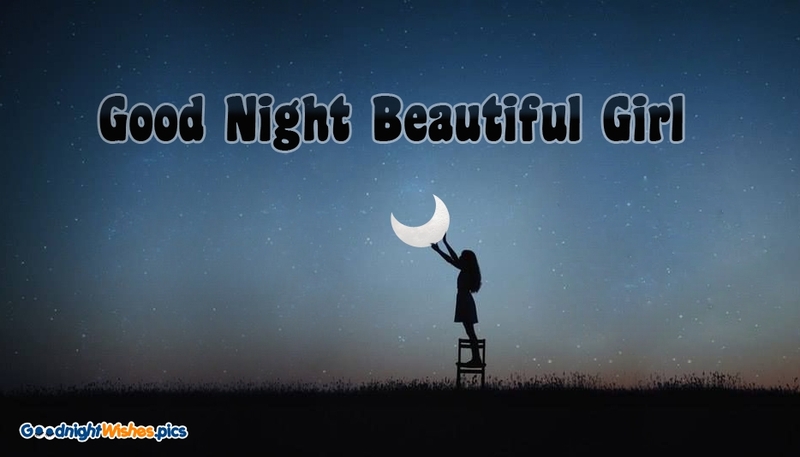 There can be some nights which makes her to feel restless, at those times a sweet gud nit poke from you would make her feel more comfortable. As a brother/sister it is your responsibility to take care of her throughout the day. 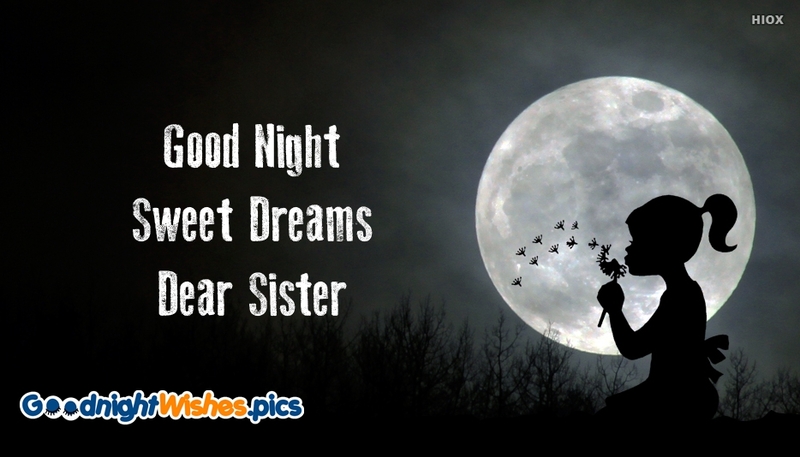 Share these good night sister images, messages, greetings and make your sweet sister feel protected by you. 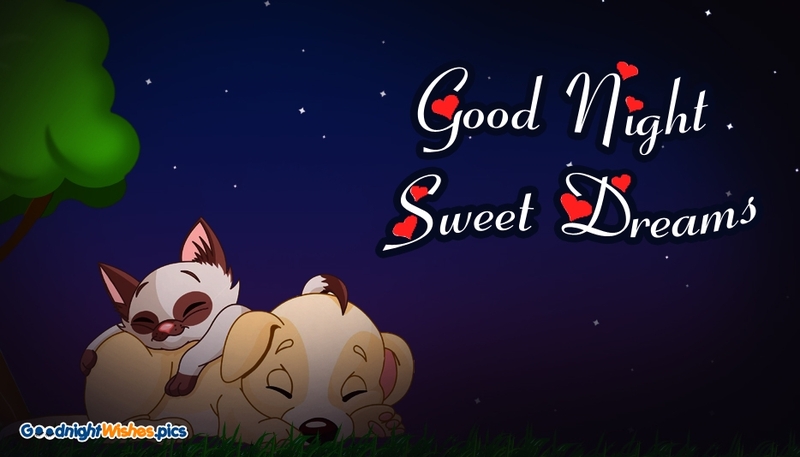 The future is what you make of it, so sleep with the thought of greatness in your mind and it will come true. Tomorrow will be the day you begin to move toward your dreams. This is the end of the day, but soon there will be a new day. 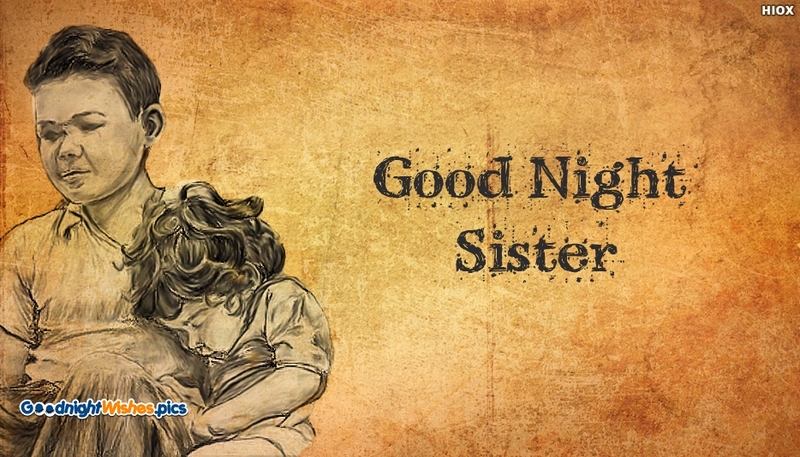 So, sleep well sister. The night is more alive and more richly colored than the day. 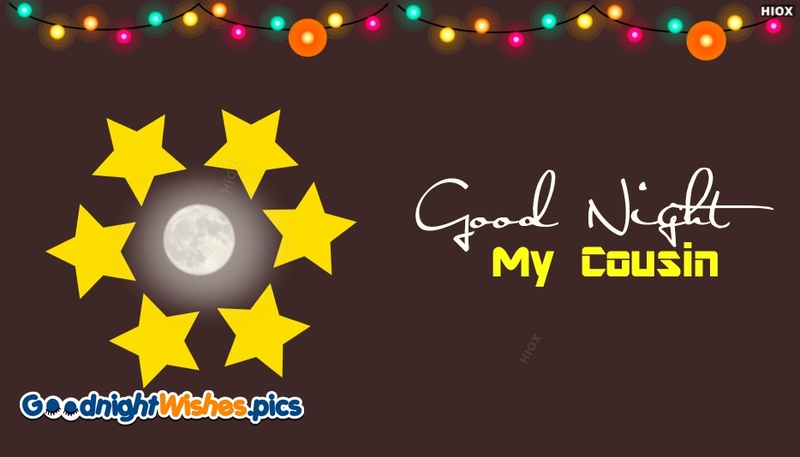 Gud nit and colorful dreams. 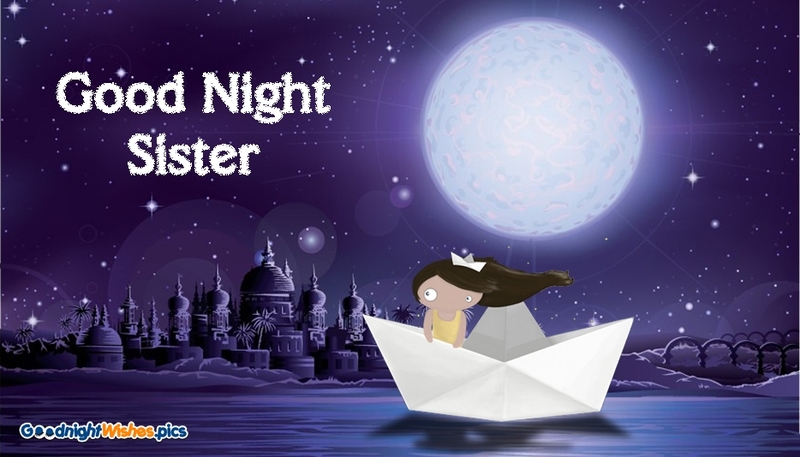 The darkest night is often the bridge to the brightest tomorrow. 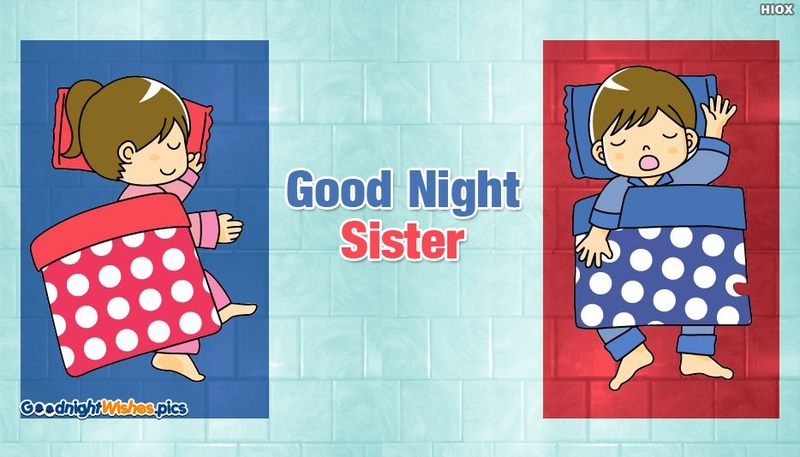 Good night my darling sister. Success is like stars; the darker the night, the brighter they shine. 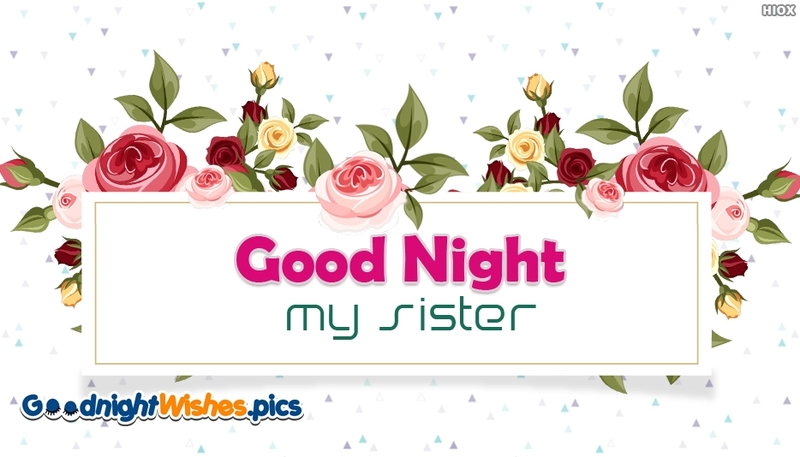 Good night sisy.